Many of us had wondered during the dregs of the recession whether the American public – when all was said and done – would hold the U.S. outdoor recreation arena in the same high esteem that it had enjoyed for so many years as a valued, family-friendly pastime for millions of Americans. Now, sitting here in 2016 looking at the record-breaking traffic at so many parks and the incredible growth curve of the allied RV industry, it’s evident that something has gone incredibly, wonderfully right for the whole industry since the global downturn. Beyond the commercial aspects, in fact, there seems to be a widespread consensus in the public’s eye that camping – be it in a tent, yurt, cabin, travel trailer, fifth-wheel, motorhome or park model RV – in either a private or public park is one of the family-centric pastimes worth retaining as part of our post-recessionary national culture. Indeed, the American public seems to have reached the conclusion going forward that camping is cool – the most visible proof, of course, being consistent reports of growth among the major players in the RV park and campground business. New companies are entering the picture and facility expansions are common. 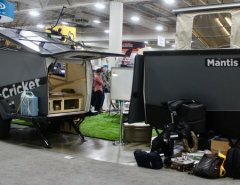 And, the growing interest of the virtual and print media is clearly turbocharging the efforts of marketing-minded RV companies and other front-line promoters like Kampgrounds of America Inc., Camping World/Good Sam and the Go RVing Coalition’s highly regarded national marketing campaign. 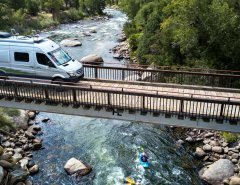 Go RVing, in its 19th year as a partnership between the Recreation Vehicle Industry Association (RVIA) and the Recreation Vehicle Dealers Association (RVDA), is budgeted to spend $16.5 million on print and virtual advertising this year. Also, clearly promoting the industry on a daily basis. 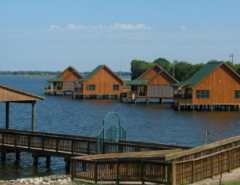 And, RV parks and campgrounds are clearly beneficiaries. We’ve seen this whole thing coming for a while, but the seminal moment for me was a couple of weeks ago when President Obama came to town – the RV-building hub of Elkhart, Ind. – to pay a special tribute to this resurgent northern Indiana city of 50,000 and it key employers, foremostly, RV manufacturers and suppliers, in an area that clearly saw tough times during the global downturn.